There have been many reported cases of increased figures for depression, mental illness and even suicide in the news recently. Whilst I was listening to one such report, I began to think about the positive health benefits associated with running and also in particular, running with your dog. The two things have both been known to reduce stress and anxiety in people and so by combining both, surely this could be a real recipe for an alternative treatment for people who suffer with depression. One thing in common with all of the advice to be found is the benefits associated with exercise, which is known to stimulate endorphins that improve energy levels and mood. Studies have also shown that pets and animals in general can help with depression too. 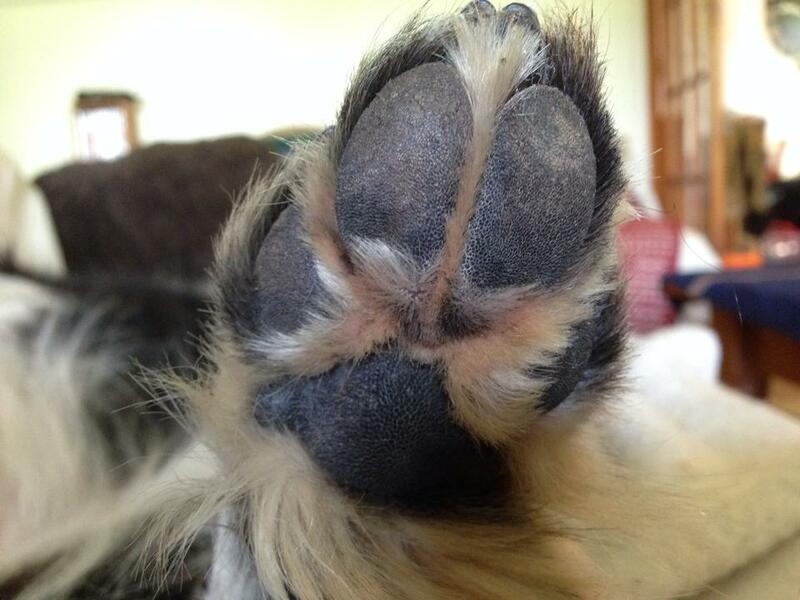 The effect of physical touch with a dog or cat can be soothing, lowering blood pressure and reducing stress hormones. There are other positive effects of interaction with dogs such as affection which raises self esteem, dogs are known for reducing feelings of isolation and loneliness. Caring for a dog in itself encourages a person to take responsibility, builds relationships, gets a person managing their thoughts and feelings, as they have to think about something which relies on them for health and well being, which can impact on their own health and well being. 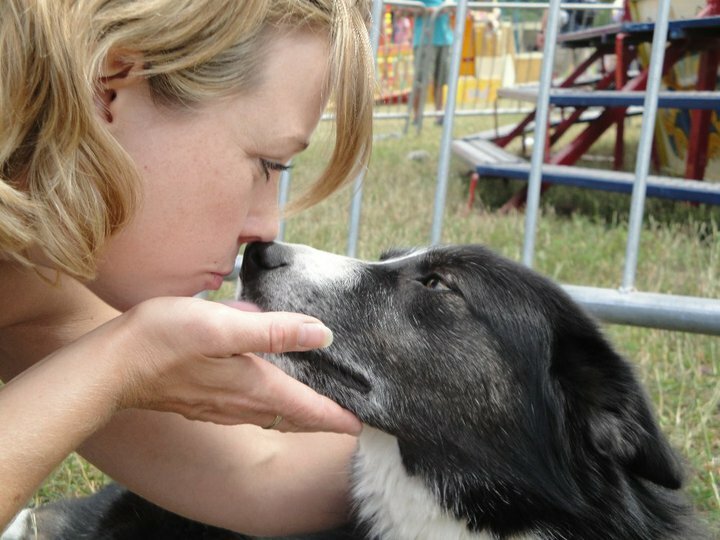 The best combination of the reported benefits from both exercise and interaction with dogs can be found in the sport of canicross and the effect of both these things has been described as underused treatments for depression, with many people unaware of the research which has proved the positive effect they can have on the lives of those suffering with depression. Canicross is clearly not a ‘cure’ for depression but I’m of the opinion that if you give someone a responsibility and combine that with a reason to get out and get exercising, then the effect of that on the person can only be a positive one. The biggest limiting factor in getting people out exercising is usually motivation and what better way to motivate someone than to have a goofy, furry face eager to get out and join you! 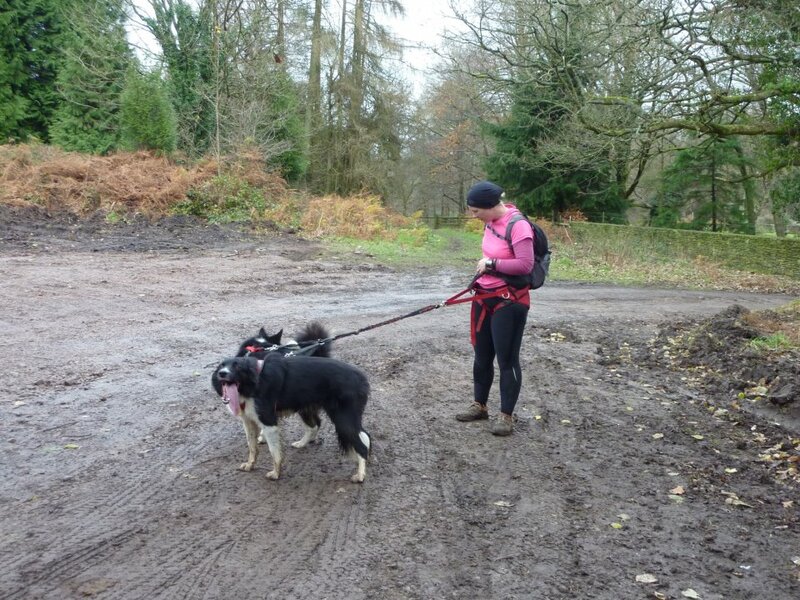 As I said at the beginning of the blog, I’m not an expert but with the NHS prescribing exercise in cases of mild depression, it would seem logical to me that canicross is a great way to incorporate two factors known to help with depression into a daily routine. What I am sure of is that I always feel my spirits have lifted after getting out with my dogs and I would suggest that anyone struggling with stress or depression try a canicross session to experience the benefits associated with both exercise and interaction with a dog. There’s nothing quite like getting out in the countryside with your dogs for a run! As the nights seem to be getting longer and there is a definite ‘nip’ in the air in the mornings now, I started to think about how I prepare for the upcoming race season. The UK canicross and bikejoring race season tends to begin in September when the temperatures can still be a little warm for racing but often cool enough to just get away with it. If you have not been doing a lot of training with your dog over the summer, then September seems like a good time to start up again and if you’re taking part in the European Canicross Championships, which are usually held in the second week in October, it’s a good idea to have started some training even before this. 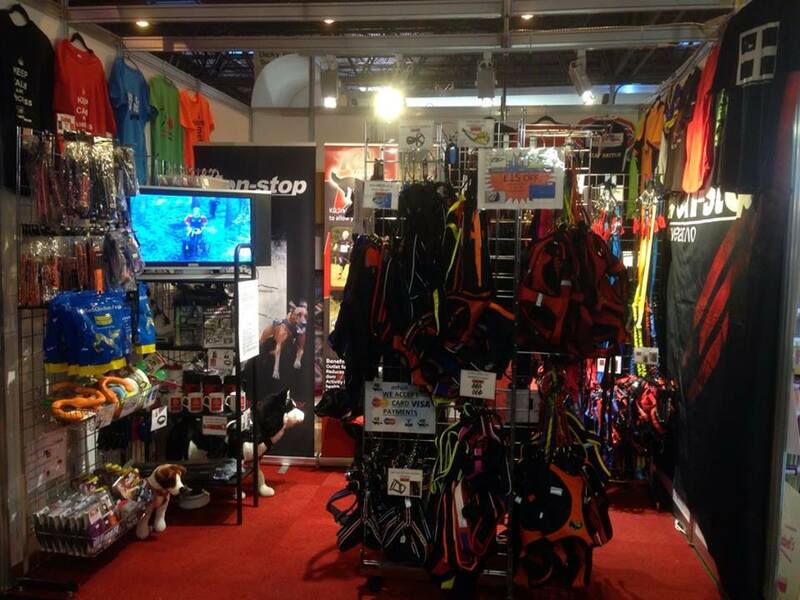 The following are just a few things I think can help get you and your dogs organised and ready for racing again. 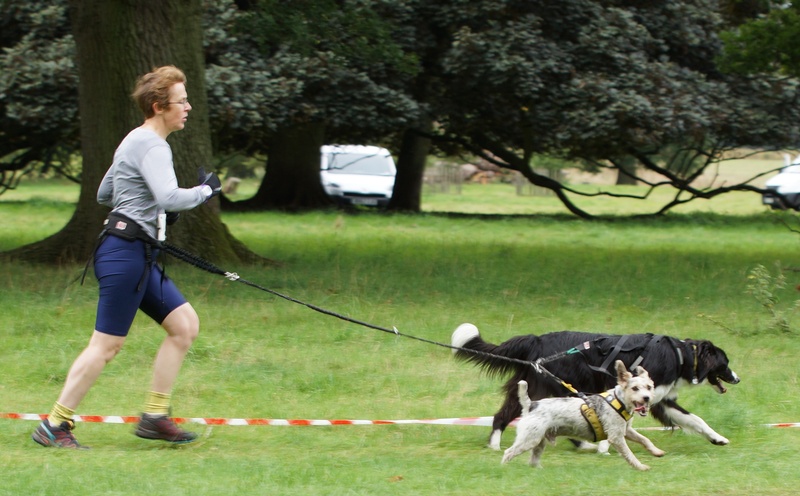 With more and more events being run either specifically for canicross, or just allowing a canicross entry, there are plenty of events now to fill almost every weekend between September and May! Working on your voice commands can help prevent ‘nasty incidents’ when out of the trails! 2. Get your dog (and yourself) checked for any minor strains and sprains – I am a great believer in prevention is better than cure when it comes to injury and by taking your dog to see a qualified massage therapist, such as one from the Canine Massage Guild (http://www.k9-massageguild.co.uk/) then you can identify any potential problems before they become a hinderance. I also get regular sports massage therapy myself, as although I don’t consider myself an athlete, I can feel the benefits of having a regular treatment. Judo enjoys his canine massages much more than I enjoy my sports therapy massages! 4. Give your dog a good groom and pamper session – you might do this all the time but most of us don’t find the time to sit down and check every inch of our dogs all the time. Set aside some time to comb through everything, check the pads, claws, eyes, ears, tail, inch by inch and note down any lumps or bumps you might find or feel so that you can keep an eye on them. This should be done all year round and by keeping a close eye on your dogs’ coat and skin you can help monitor health and notice any changes that an increase in activity might bring about. 5. Save some money and hire a PA! – in all seriousness, it’s not cheap competing in dog sports events in the UK, mainly because of the fuel involved to travel to them. The events that have camping actually work out as a fairly cheap way to spend a weekend away with your dog (in great company of course!) but once fuel is taken into account, this can add up. It is worth having a look at the events taking place and being organised about which you are prepared to travel to, fairly early on in the season. Many of the events have closing dates for entries only a week or so in advance so you can make last minute decisions on entry but I think it’s good to familiarise yourself with the dates of events, not only so you can budget but also so you can train appropriately. It’s quite different doing a one day 5km race to competing over a whole weekend where there may be 3 or 4 races to participate in and you need to be sure you and your dogs are fit and prepared so you can both get the best experience out of it. With all of that said I’m looking forward to seeing what this next season holds for us – Happy Trails! This is a blog I wrote a few years years ago for a few people who were ill-informed about canicross and these are people who should be supportive of the sport but had reservations about running dogs for whatever reason. I’ve decided to re-publish as I have recently again seen comments suggesting that these sports shouldn’t be open to all and I disagree. 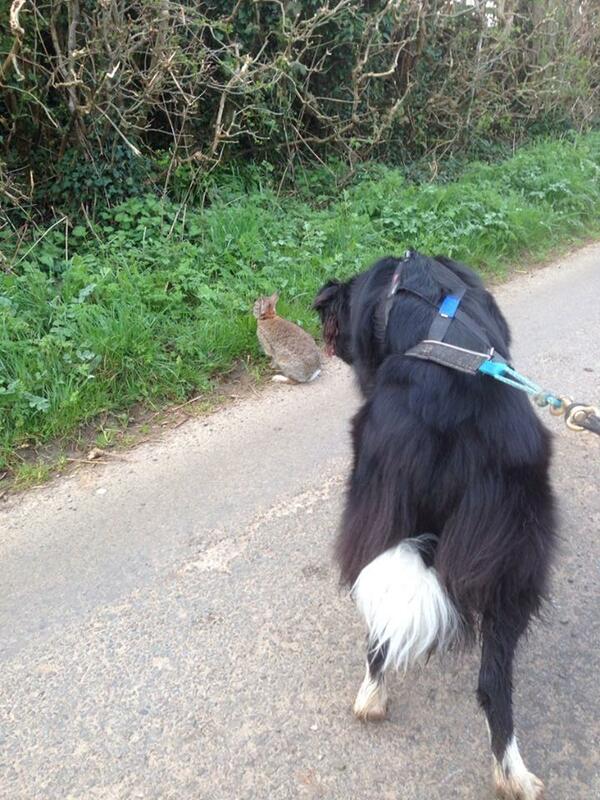 Firstly, I’d like to start with why I got into canicross. All of my dogs are rescues, my first, Tegan is a husky cross border collie and when I first saw her she was trying to escape over an 8 foot kennel wall! She was so over excited and stressed in the kennels she virtually threw herself at me and although I wasn’t sure I could cope with her I thought I had to give it a go as I was probably more suitable to give her a chance than most families. I spent the first 10 months dealing with her separation anxiety and destructive behaviour, it is not realistic to expect a dog who was rescued as a stray (and was on day 7 in a Welsh pound) to just settle into a routine without some problems. Tegan tested my patience on numerous occasions and I lost a sofa bed, cupboard door handles and a few door frames to her ‘settling in’. I took her out with my horse which seemed to calm her down and give her the outlet to run which she so obviously needed but there was always the problem of livestock in the fields we could go in and so the opportunity to do this was limited. I decided a companion would be a good idea and so I got Judo from a national rescue centre – Many Tears, knowing full well it was going to be hard work with another young dog and because he is also a collie cross that he was going to be a high energy dog too. For the next 8 months we tried a number of activities (Judo was limited by his age) such as agility and flyball to keep their minds and bodies working but nothing seemed to provide the release for them like going for a good run. Judo was a year old in the May, I had already started running short distances of about a mile or 2 with them since he was about 9 months old, so when a friend suggested I try a Cani-X race with them, the 5km 2 dog class seemed a perfect goal to aim for in September. As we increased our runs I began to notice that both dogs were much calmer on the days we ran and actually just spent the evenings sleeping around the house rather than looking for other things to do. I also noticed the destruction around the house which Tegan had always initiated, gradually stopped. You could say the dogs were just growing up but nothing had calmed them to this extent until I started the running and their behaviour improved dramatically. Judo is a very active dog who is always looking for the next game and running gives him a job to do, something to focus on and put energy into. The competitions we did through Cani-X not only gave us a goal to work towards but meant I could socialise my dogs with other dogs without fear of being judged for not having the perfect family pet. The type of people who we find at canicross events are only concerned for the happiness of the dogs and they also understand what it is like to have dogs with issues, as many of the dogs that attend are rescues, or high energy dogs which would struggle with being walked twice a day around the local neighbourhood on a lead. I have been competing now for a number of years and have met more helpful and competent dog people in this time, than in all my previous years of owning dogs. I always feel that the dog’s welfare comes first in any of the competitions and there is always knowledge to be shared. 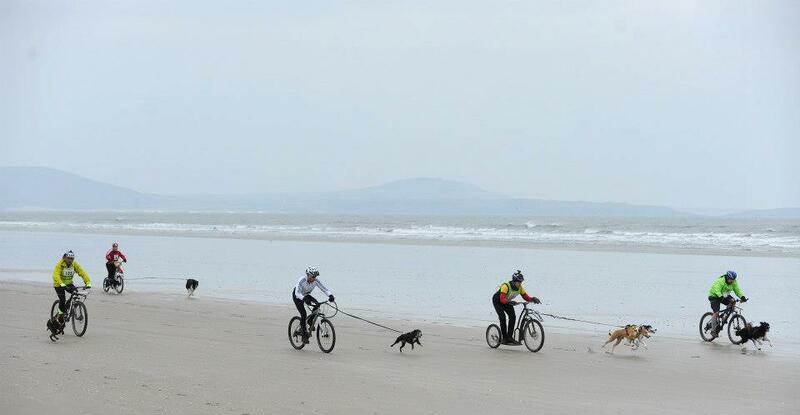 I have over the years of being involved in the dogs sports, taken up both bikejor (mountain biking with your dog) and scootering, which are faster and more intense sports than the canicross but have the additional benefit of requiring more focus from both you and your dog which can tire you out quicker! I took on a third rescue called Donnie in 2011, again from Many Tears and his move to me was his 7th at only 6 months old! 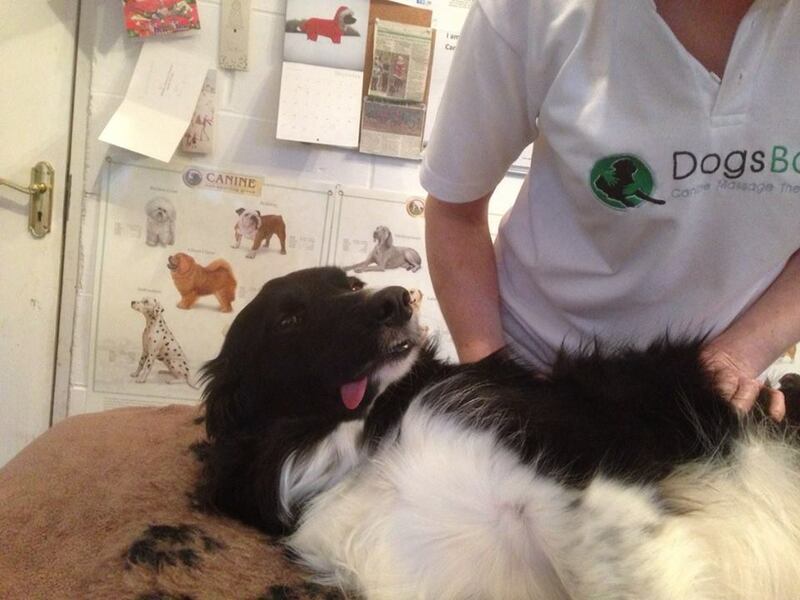 Donnie is a collie cross springer spaniel who also has boundless energy and had proved too much for his previous owners. With me he has a ‘working’ home because he will always be kept occupied with the canicross which satisfies his innate need to do a ‘job’. I also have the full support of Many Tears rescue where I got Judo and Donnie from and they are thrilled their dogs are having such active and fulfilling lives. They also know they will never get a phone call from me saying I can’t cope with them and will have to return them, which is what they and most other rescue centres dread most. So on to a bit more general information about running with dogs. Dogs, ALL breeds of dogs no matter how large or small, were bred with a job in mind for them. My collie crosses are herding dogs and this is instinctive which means it is in their blood, no matter how much I train them they will always display these qualities in one form or another. My dogs were bred to work, to run, to think quickly and they love have the opportunity to use these qualities when we go out, they get so excited about the harnesses coming out as they know they are about to get out there and run with me. Dogs are pack animals and they like to be part of a group working as a team, I am no dog behaviourist but I don’t need to be, to see how much these dogs love being attached up to their owners and given the chance to share an experience like running with them. There have been some concerns raised about too much running with dogs can lead to problems later in the dogs life with joints but all the evidence points to the opposite. We have dogs who are 14/15 years old and are still running the 5km races and loving every minute. Why would something that comes so naturally to a dog be damaging? I think the problem is that people have developed such a humanised view of their dogs they can’t see that precious little ‘Tilly’ would rather be out running in the countryside, than being walked around on a lead having a ball thrown a few times for them a couple of times a day. More damage is done to dogs joints by irresponsible in-breeding of dogs that allow genetic defects to be passed on through the bloodlines resulting in a short and painful life for the dog in many cases. I feel that anyone who cares enough for their dog to spend time running with it is not going to push the dog beyond its running limits. I know many people who could run much faster without their dogs but choose to slow their pace and shorten their running distance so the dog is comfortable and happy. I have also heard concerns raised about the temperature the dogs are run in. I personally have been to at least half a dozen races which have been brought forward due to concern over the temperatures and have seen runners withdraw dogs when they feel it is too hot for them – the dogs decide – always and without question. No dog owner I know would run their dog in any temperature they felt was a risk to the dog. Other concerns that seem to have arisen can all be explained by the individual dogs’ situation such as different harnesses used, whether the dog runs muzzled or not and also shouting encouragement or commands to the dogs. People make choices based on their knowledge of their own dogs and I personally don’t question it but any doubters or those with concerns should maybe just ask the owner rather than make an assumption based on their own experiences of dogs which may be very different. 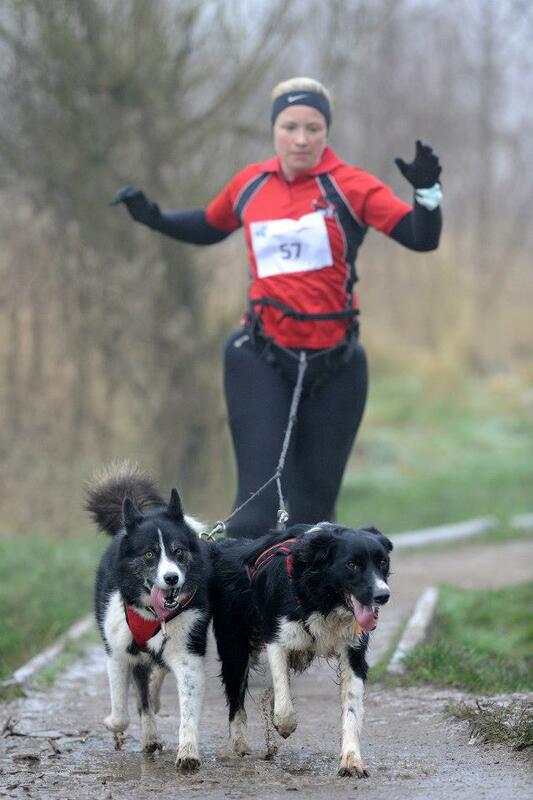 To bring this back to my own dogs and why I’m an advocate of running with dogs, canicross and the other dog sports, is to say that all I see when I go to events are how excited, happy and fulfilled the dogs are to be there and be taking part in these runs. I see many rescue dogs who are often quite mentally scarred and this gives them the chance to let go of the pent up energy in a safe environment. I have also heard the same type of arguments in relation to sled dogs and the races the mushers complete with them. These are often dogs which would otherwise be put to sleep as without some sort of activity above and beyond what someone would consider a normal twice daily walk, they would be destructive and in some cases aggressive. I feel the need to point out that rescue centres, vets, and the general dog owning public should be grateful & supportive for the opportunity these dogs get to engage in activities such as running, scootering & dry land mushing because it means there are a few less dogs to rescue, re-home and put to sleep which is something I would hope no dog lover would want. If you don’t know what I’m talking about or you disagree, feel free to come along to one of the events and talk to the people taking part, witness the care with which the dogs are treated and the joy in their eyes because they are doing what dogs were made to do – run!